After taking a week off we just couldn’t bring ourselves to do any work! 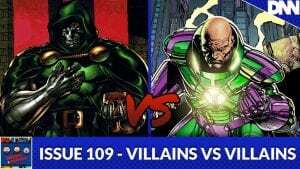 So it’s a villains versus as we pit bad guys across different comic genre’s against eachother! Who do you think will win?